So, I admit – my nutrition was not at it’s finest. I was craving something fried, I was craving something breaded. I have been a little angry about the lack of restaurants that offer unbreaded calamari. 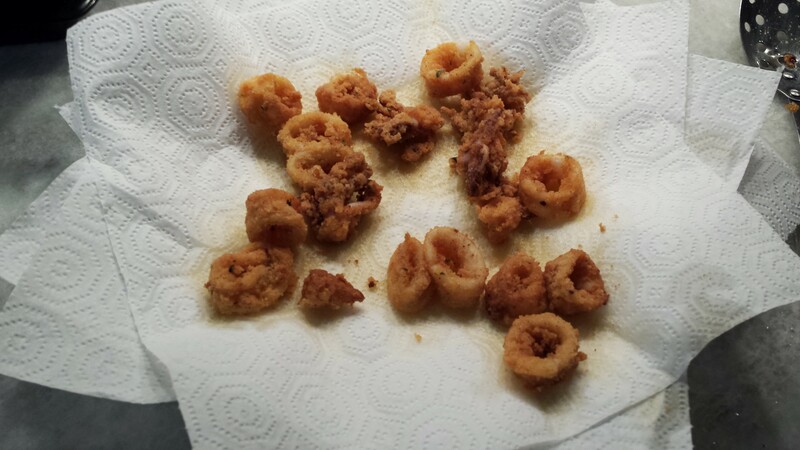 So I took it upon myself to make breaded calamari – think of it as Paleo junk food, but whatever. 80-20 right? 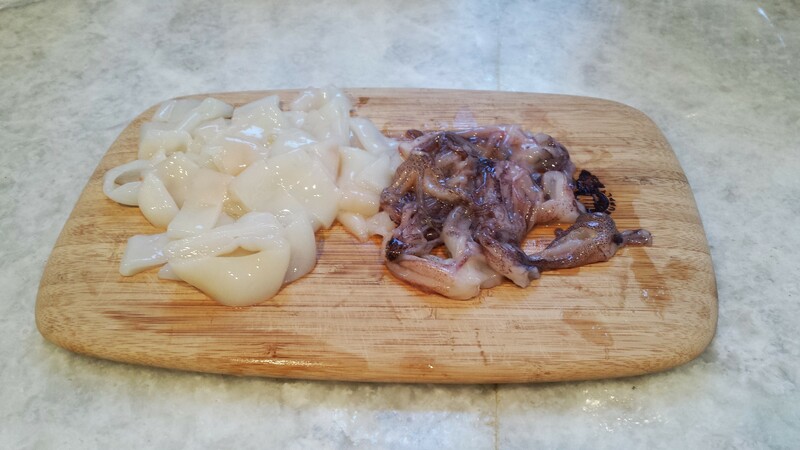 Cut the squid heads into rings about 1/2″ thick. Leave the tails “as is”. 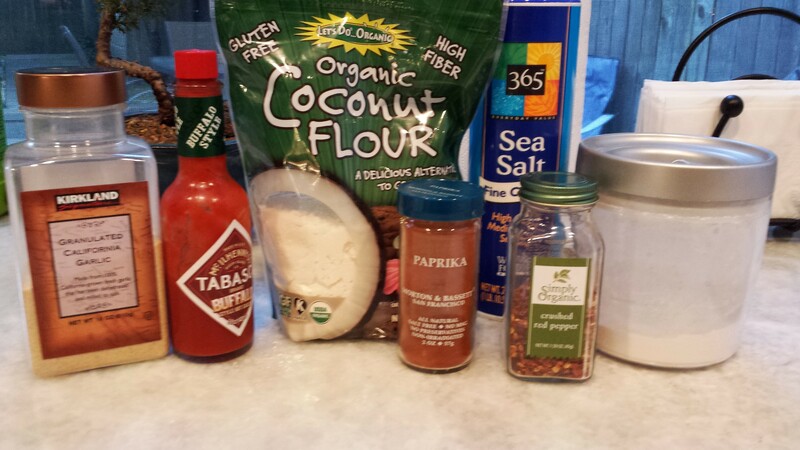 In a quart size or gallon size plastic bag (or quart plastic container if you’re “green”), mix the coconut and tapioca flours and spices. Coat the squid, heads and tails, with the tabasco sauce. 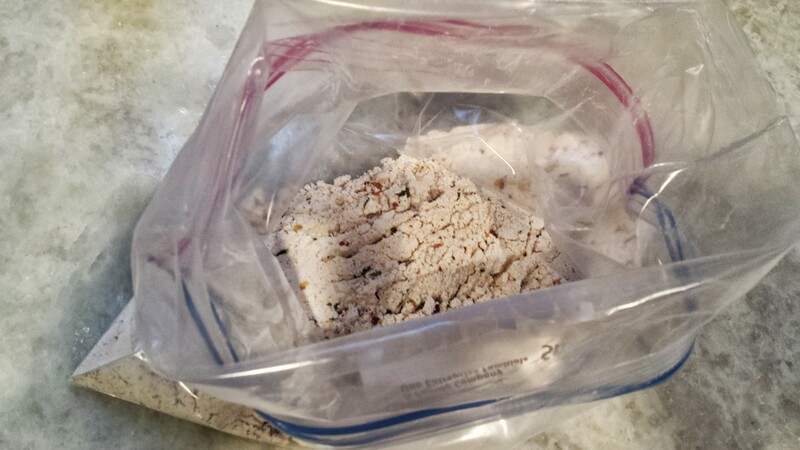 Toss into the “breading” bag until coated. Now, add approximately one cup of coconut oil to a deep frying pan. Turn the burner up to high heat. When the oil is to temperature, spritzing it with water droplets will cause a dramatic sizzle. 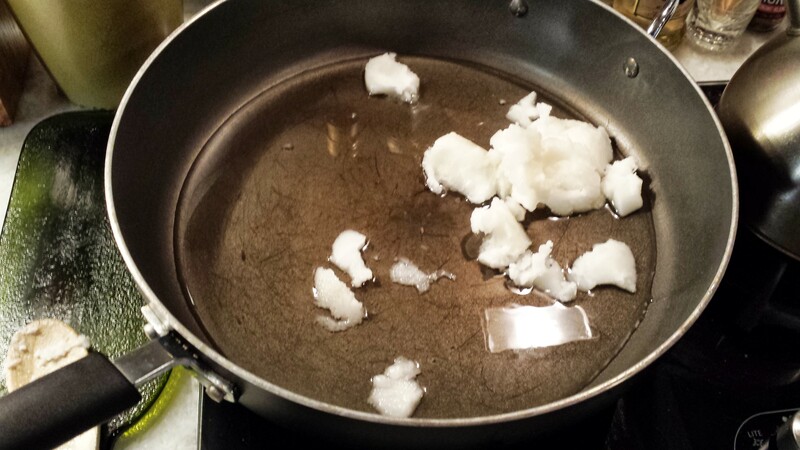 Set up a plate with several paper towels covering it – this is to soak up the oil once the calamari is fried. This helps the calamari to crisp. 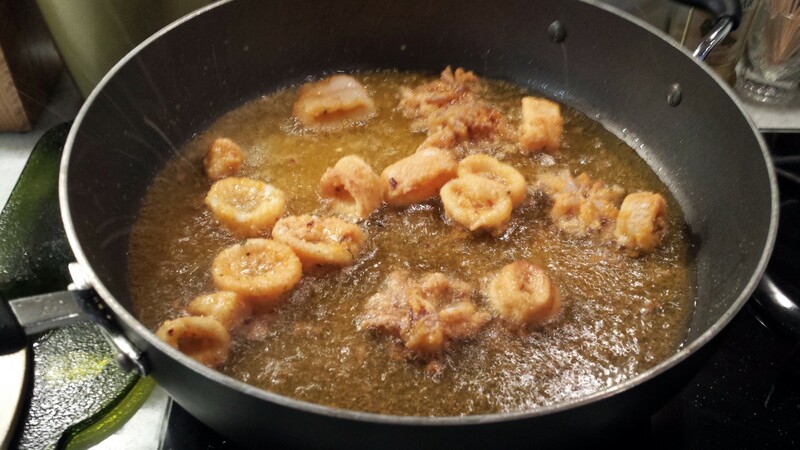 Add the calamari to the pan in small batches (I cooked mine in about three batches) – you don’t want to crowd the pan. 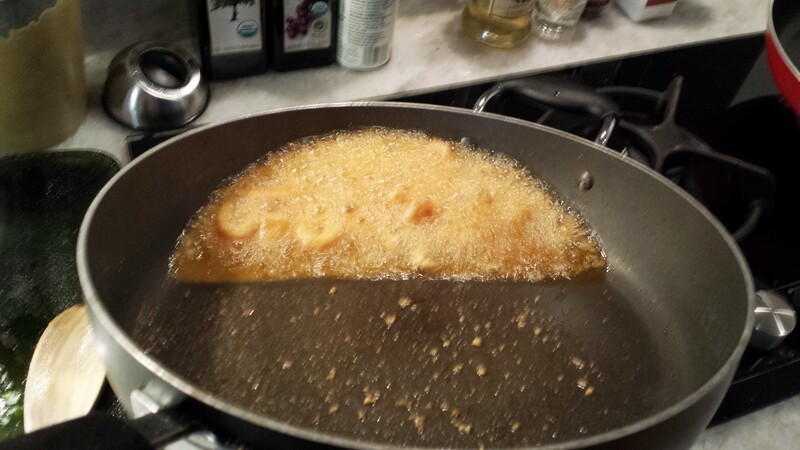 You may need to tilt the pan to ensure “deep frying”. But be super careful if you do this – seriously; grease fires are no joke. Always use baking soda for a grease fire, NOT WATER. 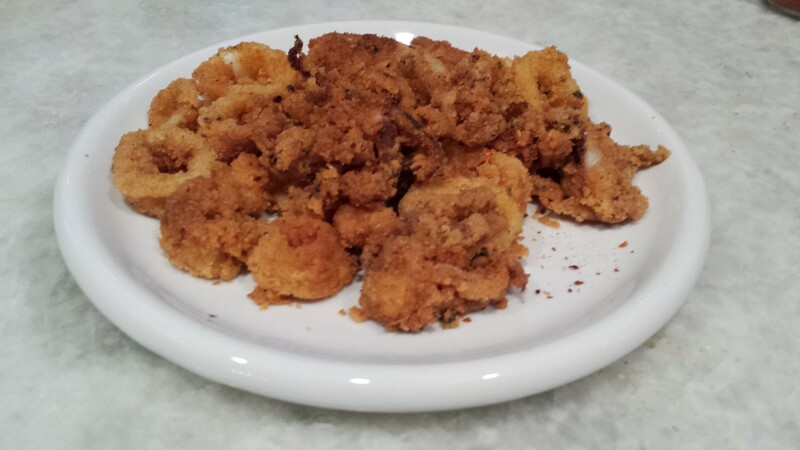 Once the calamari is crisped, remove from the pan and lay on the paper towels to absorb excess oil. Finally, serve your calamari with Tabasco sauce, cocktail sauce or just a wedge or two of lemon. Yum! 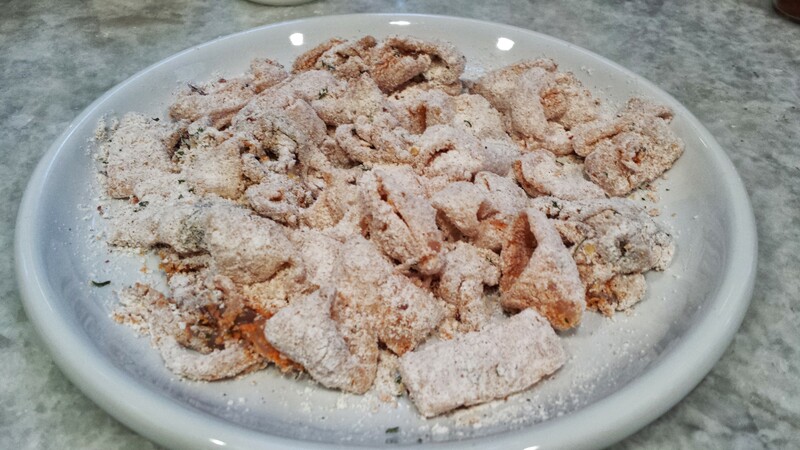 This entry was posted in appetizer and tagged cayenne pepper, squid, tabasco. Bookmark the permalink.